The Hub is where we will keep you up to date with the latest insurance news and articles which we hope will be of interest to you. If you would like any more information on any of the articles in The Hub, please get in touch. Although it’s something most of us have, insurance can be a daunting subject. You may be buying insurance because the law requires you to. Perhaps it’s to give yourself peace of mind in case the worst happens. Or both. 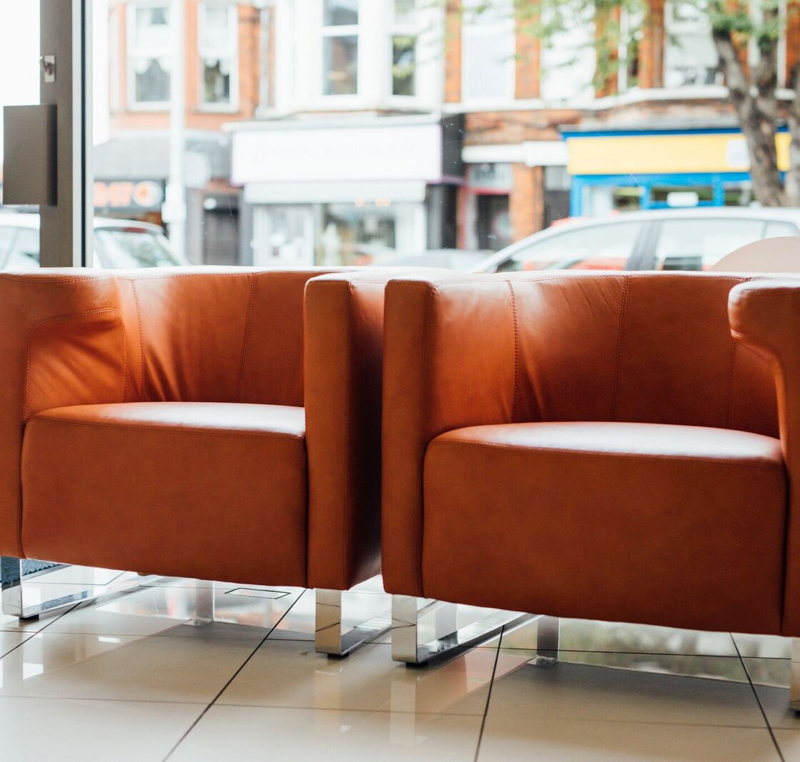 Whether you’re looking for car or home insurance or something more specialised, there are many benefits to using an insurance broker. 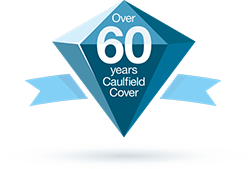 Caulfield Insurance was established in 1954 and our staff have hundreds of years of combined experience working with insurers and other insurance specialists. We know where to look for the insurance that most suits your needs, at a price that’s right. By knowing and understanding your policy wordings, we can help you with any questions you might have about your cover. And if the worst should ever happen, you’ll have us on your side. When you need to claim, it can sometimes be difficult and time-consuming when dealing with a large insurance company yourself. We don’t work for the insurance companies – we work for you. We use our expertise to ensure that you get the best possible outcome. Insurance can be a very technical subject and it’s easy for insurance providers to use jargon that you, the customer, doesn’t necessarily understand. We will attempt to break down the various sections of a standard home insurance policy. We understand that everyone’s requirements are different, so please don’t hesitate to contact us to discuss yours. Typically, the first few sections of any policy will be concerned with insuring physical property – tangible assets that can be repaired or replaced. This is usually the buildings, contents and personal belongings whilst away from the home. In addition, a home insurance policy will include certain aspects of liability cover, which we will detail below. Buildings cover is usually only required if you own your own home and if you have a mortgage, you will be required by your lender to have adequate buildings insurance. So, what is “adequate”? When insuring the buildings, the sum insured should be the amount it would take to rebuild the property, including site clearance, architects’, solicitors’ and all other fees. It isn’t the market value of the property, which may be higher or lower than the rebuilding cost. If you aren’t sure about the rebuilding cost, a surveyor can help. Alternatively, the Royal Institute of Chartered Surveyors has a handy online calculator. The term “Buildings” means the main structure of the home and any permanent fixtures and fittings (for example, outbuildings, fences, gates etc.). The rule of thumb is that if you can take it with you when you move house, it isn’t defined as part of the buildings. If you insure the buildings, you will also be covered for your liability as a home owner. So, if your negligence causes injury to a visitor to your home and a subsequent claim against you, your policy will respond. One of the extra benefits under the buildings section is for the cost of alternative accommodation if your home can’t be lived in as the result of an insured event. Typically, the amount payable will be up to a maximum of 20% of the sum insured. This, however, may vary from insurer to insurer, so it’s important to check your policy. “Contents” are defined very broadly, but will include household goods and personal belongings, money and credit cards, pedal cycles and even heating oil (it is important to note that many of these sub categories will have inner limits. Again, it’s important to read your individual policy wording). Not all policies include cover for personal belongings whilst away from the home so you will need to decide if this is a requirement, but we will go through all your options at the quotation stage. Included within the contents section is your own personal liability as well as your liability as an occupier. Many householders don’t know they have this but it is a very important aspect of the cover. Imagine if your dog ran out on to the road and caused an accident – this is something for which you could be personally liable. Again, there are various useful extensions, usually included for free, such as a temporary increase in the contents sum insured around holiday periods or contents temporarily removed from the home to halls of residence or student accommodation. It’s important to advise us if you use your home for any business purposes. Whilst it is usually possible to quote in such circumstances, if insurers aren’t aware of it at the outset, they may be within their rights to later turn down a claim. In addition to the cover available under your household policy, we have a range of optional additional products which will dovetail perfectly to give you additional cover for Legal Expenses, Loss of Keys and Excess Protection. We will discuss the value of these options with you at the quotation stage. When applying for home insurance, we will ask you a series of questions which will determine the premium and cover available. It’s important to answer these honestly and to the best of your knowledge, providing complete and accurate information. This applies not only when taking out a policy but also at renewal or if you make a mid-term amendment to your policy. As with any contract of insurance, your policy will contain exclusions and conditions. It is very important to familiarise yourself with these. 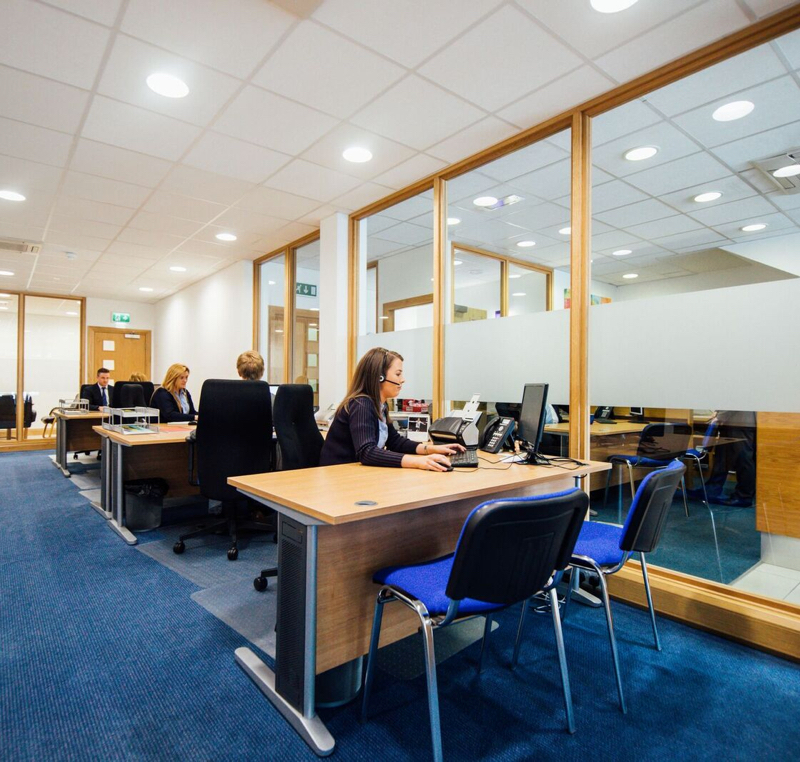 To speak to a member of the Caulfield Team about your home insurance, you can call into one of our branches or call us on 028 8676 6999. Whether you see car insurance as vital protection for your pride and joy or a necessary evil, there is no escaping it. If you drive, motor insurance is a legal requirement, unless you chose to go for the alternative of depositing a sum of £500,000 with the Accountant General of the Supreme Court against liability to others! There are various levels of cover available and the minimum required by law is known as “Third Party Only”. This provides the necessary cover for liability to others (including passengers) for injury or damage to property. Third Party Only (or TPO) cover is available, however most insurers don’t offer it and it the difference in cost between it and Third Party, Fire and Theft is often negligible. The next level of cover, “Third Party, Fire and Theft” (TPFT), provides cover for the minimum level required by law as well as additional cover for fire and theft. This option won’t cover you for any other damage to your vehicle, nor will it provide any cover for damage to the windscreen. The highest level of cover is known as “Comprehensive”. It provides all the cover required by law as well as damage to your own vehicle, windscreen damage and various other extensions, depending on your individual insurer. Some policies will provide a courtesy car after an accident, cover for driving other cars, new car replacement and even personal accident benefits. We are happy to discuss all these options with you. You would be forgiven for thinking that Comprehensive cover is always the more expensive option, but this isn’t always the case. In some cases, it can be as cheap as Third Party Fire and Theft cover. We can easily provide you with a quote for both to allow you to compare the options available. Social Domestic and Pleasure covers your day to day journeys – visits to the shop or to see friends, the school run and trips to the beach. Commuting extends Social Domestic and Pleasure to include your trips to and from your place of employment. Class I Business Use covers use in connection with the policyholder’s business but excludes any commercial travelling, use for hire or reward and anything connected to the motor trade. Class II Business Use is the same as Class I but allows another named driver to use the vehicle in connection with your business. Class III Business Use allows full business use, excluding hire and reward or anything connected to the motor trade. A salesperson will require Class III use. Have you ever wondered how we work out the price of your insurance? Well, all of the insurers we use have provided us with access to their powerful rating engines. These take many rating factors into account, such as claims’ history, age, postcode, age of vehicle and your occupation, to name but a few. Certain factors, such as a clean claims’ history, may attract discounts and others (young or inexperienced drivers) may attract a ‘loading’ or higher premium. Insurers use statistical data built up over years to assess risks and arrive at a suitable premium. To provide you with valuable protection against injury or damage caused by uninsured or untraced drivers, all insurers contribute a small portion of your premium to the Motor Insurers’ Bureau. The Bureau is there to help compensate you if the normal channels are unavailable, for whatever reason. A final consideration is whether or not your vehicle will be used abroad. Your policy will provide you with the minimum level of cover required by EU member states, however it is important to note that this may not be the same level of cover you receive at home, so it’s important to check your policy wording. If you will be driving in a non-EU country, a Green Card will be required and we are happy to arrange this for you. When applying for motor insurance, we will ask you a series of questions which will determine the premium and cover available. It’s important to answer these honestly and to the best of your knowledge, providing complete and accurate information. This applies not only when taking out a policy but also at renewal or if you make a mid-term amendment to your policy. To speak to a member of the Caulfield Team about your motor insurance, you can call into one of our branches or call us on 028 8676 6999. Booking a holiday is an exciting time for any traveller, but it’s easy to forget the importance of arranging travel insurance. In fact, your travel policy should be arranged straight away after booking a holiday. Even if your trip is months away, there are many things that could result in cancellation of your plans before departure. In today’s age, where many of us arrange and pay for our entire trip up front, travel insurance provides valuable protection should the worst happen. This is perhaps the most important section and will pay for emergency medical and emergency dental expenses incurred when you are abroad, with cash benefits for death, loss or one of more limbs or loss of sight and permanent total disablement. In certain countries, particularly the USA, the cost of medical expenses can be frightening. Should you need treatment on holiday, travel insurance will have been a worthwhile investment. It’s important to inform your insurers of pre-existing medical conditions. Failure to do so could result in a claim being turned down. It’s easier than you think to get cover for medical conditions, so just let us know when we’re providing you with a quote. Any claims for cancellation of your holiday must be accompanied by a valid reason. You can’t claim for cancellation because you changed your mind, but you can claim if the cancellation was due to illness or injury of you or anyone on whom the trip depends. Cover extends to include close family members who aren’t travelling but it’s important to note that if that person was already ill or had a terminal diagnosis at the time of booking, your insurers are likely to turn down the claim. If this is the case, speak to us at the quotation stage to ensure we obtain the best cover for your circumstances. If your policy includes this section, there will be varying limits for things like loss of baggage, valuables, money and passports. In the event of loss or theft of personal items, it’s very important for you to report the incident to the local police or the airline, if the items were in transit (usually this must be done within 24 hours). If you cause injury to another or damage to their property you could be personally liable. Such claims could, potentially, be very costly as they may involve legal costs. Your policy will cover you up to a limit (usually £2,000,000) when you become liable to pay compensation. If you plan to take part in sporting activities whilst on holiday, you should declare these. Many sports are included as standard, but some higher risk sports will need to be referred to the insurers. Cover is widely available for winter sports and golfing but this cover generally doesn’t come as standard so, again, you will need to tell us about this at the quotation stage. Do I need Insurance if I have a European Health Insurance Card (EHIC)? The EHIC is really important to have if you’re travelling within the European Economic Area (EEA). It entitles you to the same level of healthcare as the citizens of the country you’re travelling to. It will also allow treatment for any pre-existing medical conditions that you may have. You should ensure that everyone travelling has a card. You can apply for one here. Beware of websites wishing to charge a fee for issuing the card. The card is completely free, when issued by the NHS. It’s not a substitute for travel insurance, though. Not only will it not provide any healthcare not normally provided by the member state, it will not cover the cost of rescue or repatriation. The EHIC card won’t cover you for any cancellation, delay or baggage claims, nor will it provide cover for your personal liabilities. Do I need insurance if I’m travelling within the UK? Whilst you have the benefit of free NHS treatment if you are travelling within the United Kingdom, there are other benefits to be had from having travel insurance. Cancellation and loss of baggage cover are valuable, particularly as The Hotel Proprietors Act of 1956 limits claims for theft from your hotel room to just £50 per item or £100 in total. This amount hasn’t changed since 1956 and is unlikely to cover the value of your belongings. Although it’s advisable to have travel insurance for UK travel, it’s important to note that most policies will generally only cover you if you’ve booked a minimum of 2 nights’ accommodation in a hotel, B&B, hostel etc. What if I’m going on a sporting holiday? Most travel policies will allow you to partake recreationally in low risk sports. It is your responsibility to ensure that you use the appropriate recommended safety equipment. You won’t be covered if you’re racing or taking part professionally. For winter sports, cover is usually available but an additional premium will be charged. If you have any activities planned, let us know and we’ll talk you through your options. What are “Pre-Existing Medical Conditions” and why are they excluded? Pre-existing conditions are conditions or illnesses that existed before you took out insurance. Because insurance is designed to protect you against unforeseeable or fortuitous events, most insurance policies will exclude these. There are, however, insurers who specialise in providing cover for people with medical conditions. Cover isn’t always as expensive as you might think, so it’s worth getting a quotation. We promise you the utmost discretion when discussing your medical history. Delayed departure – if the public transport you’ve booked it delayed for more than 5 hours (this time limit may vary) you will receive compensation. The maximum limit you can claim is usually £250. Funeral Expenses – this allows burial abroad or the cost of returning your body home. Again, financial limits apply. Extended kennel or cattery fees – with this extension, you can claim a limited amount if your flight is delayed. What do I do if I need to claim? Each policy will have a section relating to claims (usually called ‘Claims Conditions’) and these conditions must be followed exactly if your claim is to be paid. It’s best to familiarise yourself with the procedures you must follow in the event of an accident or incident before you travel. You will need to keep documentation relating to anything you wish to claim for and insurers will often ask for proof of purchase or ownership if the claim is for loss or theft of possessions. For claims like this, it’s always important to notify the local police and obtain an incident report from them. Your policy document will include a phone number which you must use to contact the insurers as soon as possible after any event which might lead to a claim. Pre-existing medical conditions are excluded as standard, however we can often arrange for them to be included. By answering a few health questions, you may be able to obtain cover. We will always treat the information you give us in confidence and with the utmost respect. Winter sports and certain other sports, including amateur racing. Always tell us if you’re partaking in sporting activities. We can arrange cover for winter sports and insurers will often include cover for other sports. Manual work – depending on the insurer, clerical work may be allowed. Manual work, however, is not covered. If you are intending to work on your holiday, it’s important to let us know. Alcohol abuse – your insurers don’t want to stop you enjoying your holiday but if you’ve consumed enough alcohol so seriously affect your judgement, they won’t pay any claims. The excess. This is the amount that you must pay in respect of any claim. It’s usually £50, although it can differ from policy to policy. Normal pregnancy treatment. The Medical Expenses section of the policy will cover any emergency treatment required if you travel during pregnancy. Routine checks aren’t covered. Always check with your doctor or midwife before travelling as they may recommend that you travel with your notes. Some policies may exclude cover if you’re travelling after a certain gestation and some airlines may restrict your travel, so it’s best to check before you book your travel. Unattended possessions. You won’t be covered for theft of unattended property unless it’s in a locked hotel safe, safety deposit box or inside your locked accommodation. There may be restrictions on leaving possessions in locked vehicles. Some policies exclude property that’s kept in a vehicle overnight and most only cover property that’s hidden from view in the glove compartment or boot of a locked vehicle. Thank you for all your hard work and effort. Your customer service is second to none.